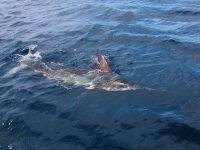 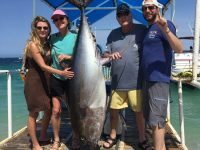 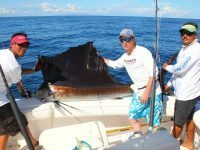 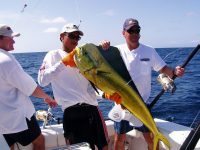 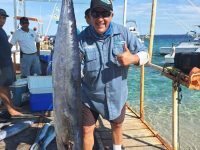 After a lull in March fishing during the full moon phase, overall success for a variety of species has ramped way up in our fishing grounds in the Sea of Cortez. 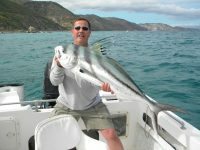 Leading the way are good numbers of striped marlin, one of our most popular spring species. 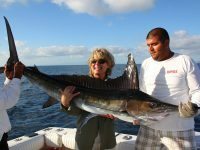 Boats in our fleet are averaging 2-3 marlin caught and released per boat each day. 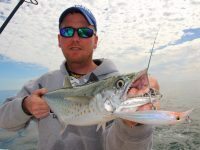 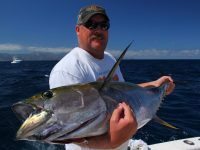 In addition to spotting marlin “tailing” on the surface and catching them with pitched live and dead baits, anglers are trolling marlin lures to entice this hard-fighting species.